Crafthouse is a clean, minimal e-commerce child theme, built to harness the customization power of Layers. It offers modern visual appeal and simplicity, with the addition of Layers building widgets for even more layout control. Below are links to helpful articles to get you going with this child theme. The setup order is important to ensure the content you need is present prior to diving into presets and page building. This theme’s demo uses the StoreKit extension for the menu cart and product widgets on the Shop pages, which require WooCommerce to be installed and configured first. WooCommerce defines a set of templates for displaying your products, including how the image, price, additional info and so on are arranged. Layers simply provides simple styling to help these layouts conform to the Layers theme and framework for a more unified look. WooCommerce is required for StoreKit compatibility and shop functionality. From your WordPress admin, go to PLUGINS → ADD NEW and search for WooCommerce and install and activate it. 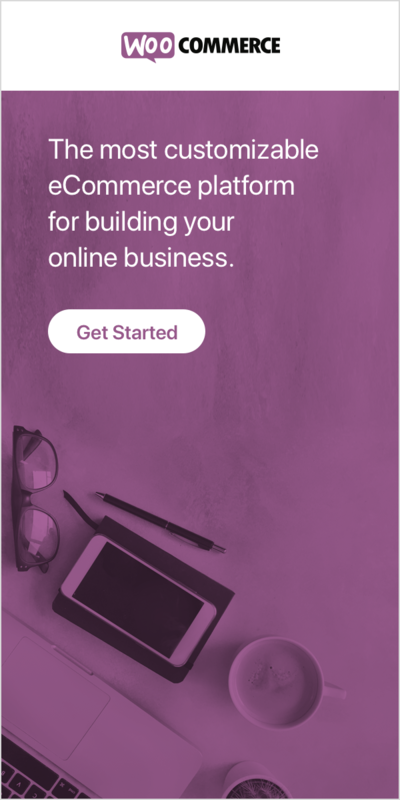 ( It is listed as WooCommerce – excelling eCommerce with a purple hedgehog graphic). Upon Activation you will be taken through the WooCommerce Onboarding wizard. We recommend you do this now. If prompted to install WooCommerce pages, do so. 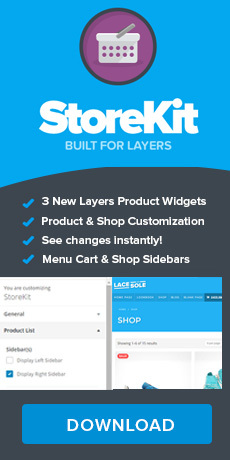 StoreKit is a Layers extension, that adds additional functionality to Layers such as shop and product customization, product widgets for your builder pages and a header cart. View the StoreKit User Guide for detailed setup and usage instructions. Your theme can be used without any WordPress plugins, but is greatly enhanced both by extensions packaged with the theme, and a few select free plugins we use on the theme demo. The following steps are recommended if you do not have existing plugins to fill these roles or are setting up a new site. Optional: On the Add New Plugin screen, search for Contact Form 7 and install and activate it. This is the most popular contact form plugin, used on the Contact page, and is easy to configure. Click the BROWSE button inside the center white box (Choose File on some browsers)and navigate to the location of your layers-concept-living-theme zip file. You will be directed to the Getting Started screen. Wait before installing any page presets! You must install and configure plugins and demo content first to ensure products load! Proceed with the next section to setup your shop. Themeforest Users: Getting a stylesheet not found error? Make sure you unzip the themeforest download package first to find all of the install zips and supporting files! Layers themes use Presets instead of traditional demo content that you load via an XML, but we do provide this file if you do not have any existing Product content and want to rapidly setup Presets. You can find this file inside the Themeforest zip package. The XML will not setup widgets, customizer settings or plugins, it will only auto-load posts, products and images. Some presets use the StoreKit Product widgets, which grab products by ID. The widget content may appear blank if you do not use our demo file. You may need to configure the widgets with your own product post content, as IDs are unique to each WordPress install. WooCommerce also offers some starter product content to populate your store and give you an idea of how products are put together. See the Importing WooCommerce Content for details and how to load it into WordPress. Finally, time for the fun part! If you leave the Header Cart enabled in StoreKit, you will see a little cart button to the right of the Header Menu that displays the total. When clicked, this will expand a drop-down containing the current shopping cart and totals on desktop screens. We recommend also placing the Cart widget in the mobile sidebar so the cart can be easily accessed on mobile screens. Custom Menu Widget – Your top bar is not visible on mobiles. Select the Top menu here or create a new one that combines your top and footer links into one utility menu. Our demo uses a basic Site Title and Tagline with “Display Header Text” checked and no image logo. Header – Assign to the Header Menu location. We recommend adding your Shop and Blog pages, plus Product Categories to this menu. Drop-downs are supported. Top – Assign to the Top-Right location. We recommend adding the My Account and Checkout pages to this menu. This menu is intended to be utility, no drop-downs are supported. Footer – Assign to the Footer location. We recommend adding the Shipping & Returns or other policy pages here, plus your Contact and About pages if you have them. If you have installed Layers Pro, you can add social link icons and your profile URLs by using the Custom Link option in the Appearance/ Menu builder. Create a new menu called “Social” and assign to the Top-Left location. Our demo uses the Logo Center Top layout without Sticky enabled. How you configure WooCommerce, and which WooCommerce extensions you use, can affect how your catalog and single products look in Layers, requiring specific settings and in some cases, additional custom styling to fit the overall design of your site. Below are some basic settings we recommend for WooCommerce to work best with your Layers setup. These settings in the customizer allow you to choose whether to show or hide the Shop Sidebar on your catalog and product pages. Browse to your shop or product page in the preview panel. Click EDIT LAYOUT and expand the SHOP SIDEBAR to add WooCommerce or standard sidebar widgets. Do not put Layers Builder widgets in this sidebar. Depending on the sidebar layout, you will notice the size of your images in the product column changes. The maximum width and the crop of these images is determined by your WooCommerce Product Image settings. We recommend using a uniform image size for all of your original product images and leave the hard crop unchecked in your WooCommerce Product settings, especially for clothing shops. The subject should be centered and have some space around the edges of the photo to ensure it is not cut off by the crop or resizing. Your originals must always be at least as wide as your single product image width setting. Crafthouse and StoreKit are premium products with dedicated support offered through Layers Messenger. To enable the messenger, go to Layers > Dashboard and check the box on the far right in the Messenger panel. For general Layers questions, including any customization or CSS help should be directed to our Community forums. Want full color customization, accordions, call to action bars and blog options? Check out Layers Pro!